9x12, vi + 162 pp. 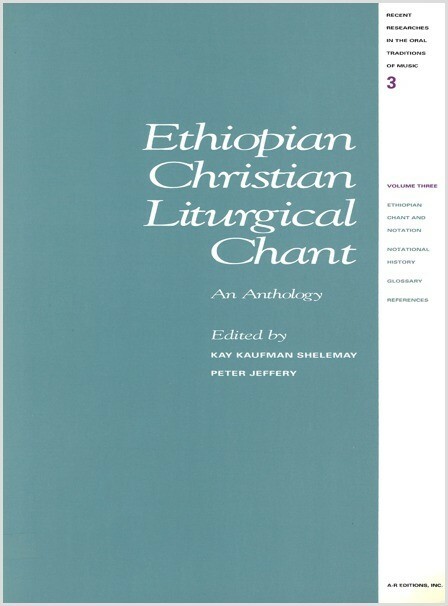 This three-volume anthology introduces the Ethiopian Christian musical tradition to performers, music scholars, and liturgists, while addressing general problems of notation and oral tradition. Ethiopian Christian chant has been passed down both in an indigenous notational system and through oral transmission. This edition presents a selection of liturgical portions from the annual cycle in facsimiles of notated sources and in transcriptions from modern performances. Supplementing the edition is a complete dictionary of notational signs, with equivalents in modern notation, and a set of charts tracing the notational history of each liturgical portion through a sample of Ethiopian manuscripts.